At first blush, blogging really doesn't seem like much of a profession. Even though there are tens of thousands of profitable blogs in existence, it’s still seen as a pretty “unconventional” career. I was a '90s kid, so the internet was really just starting to take off when I was around 5 or 6 years old. Blogs became a thing shortly thereafter, but no one was making money from them. At that time, they were just a fun way to write about your hobbies and fill online journals. Over time, things began to change and the blogging world really took off. Blogs became businesses. As more and more software became available, these micro businesses started to pop up left and right. You're probably wondering how exactly bloggers make money. As it turns out, blogs generate revenue in lots of ways, many of which you probably haven't noticed yet. One of the most common ways blogs make money is through affiliate marketing. Affiliate marketing is when someone (the blogger) recommends a certain product and then receives a commission when one of their followers purchases through their link. Although you may not realize it, affiliate marketing is everywhere. Companies rely heavily on bloggers and influencers to spread the word on their products, and they are always looking for people with dedicated audiences who might need what they have to sell. If you're new to affiliate marketing and wanting to learn more about how to make money doing it, I highly recommend Michelle Gardner's course Making Sense of Affiliate Marketing. 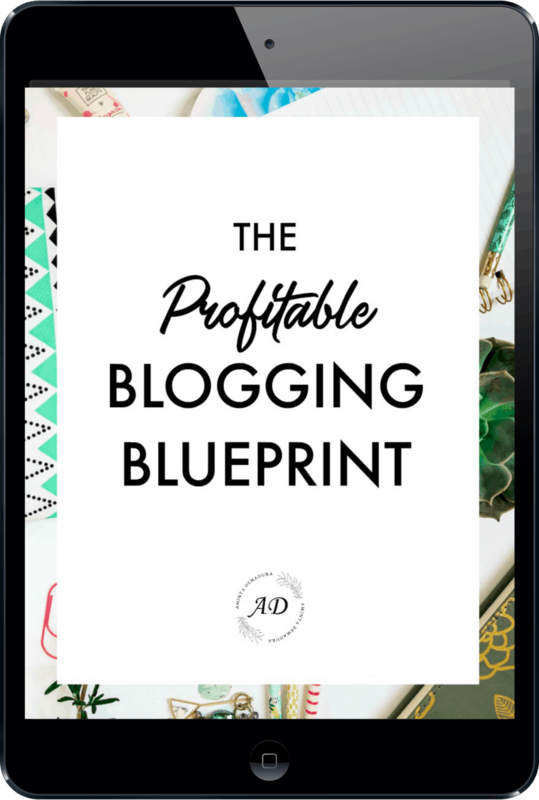 I took Michelle's course recently and found that it really showed me how to bring together all of the pieces of affiliate marketing into one complete profitable plan for my blog. It's well known in the blogging world that digital products are where the money's at. Although it can take a serious time and energy investment to create a really good digital product, it's something that can be sold over and over with little additional effort. This makes it perfect for niche bloggers to create paid content on their subject for their audiences to learn from. Earlier this year I created a styled stock photography package for bloggers who want a unique look from anything else that is out there. As we learn more about Pinterest and Google favoring bloggers who use paid photos versus the same free photos everyone else is using, it becomes more important for us bloggers to make sure our images help us get traffic to our blogs. You can check out my stock photo package for bloggers (230+ photos!) here. Another really common way bloggers make money is through physical products. I've seen a number of business and productivity bloggers create their own physical planners and notebooks that they then sell on their site. There are also plenty who create their own fashion lines, jewelry collections, perfumes, and more. Cassey Ho of Blogilates comes to mind. She is a fitness blogger and YouTuber who created an entire line of athletic wear, totes, water bottles, yoga mats and more for her fitness fabulous followers. Physical products are definitely a bit more cumbersome to produce and sell than their digital counterparts. 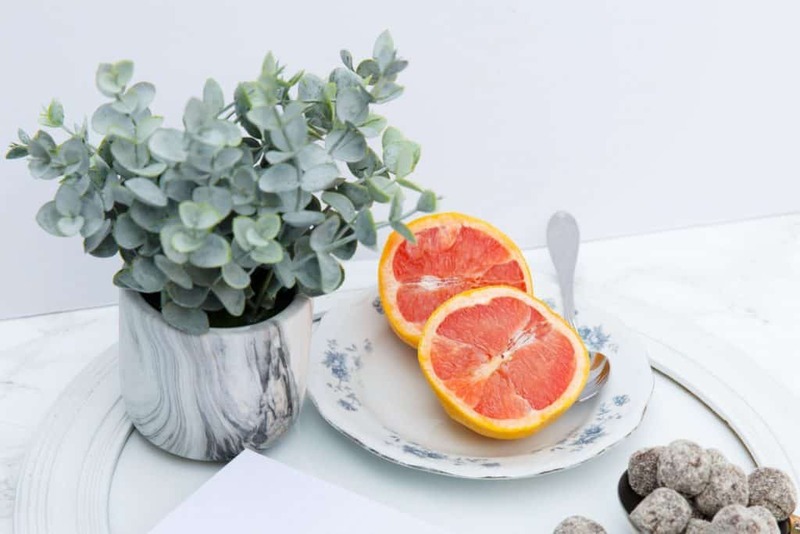 You'll need to have them manufactured, warehoused, and shipped in order to sell them, although plenty of bloggers also go the affiliate route and simply recommend other people's physical products instead. Join my free Facebook community for exclusive blogging tips, feedback, and answers to your biggest business and money questions! So many ads. You probably see them on the majority of websites you visit. While I personally hate ads and refuse to use them on my site, there are plenty of bloggers out there who make a living from them (or at least some side cash). MediaVine- Again, I don't do ads, but I have heard that MediaVine is one of the better ad networks as far as payouts go. AdThrive- Another good one to check out is AdThrive. You will need at least 100,000 monthly viewers to be accepted into their program, and note that there is a waiting list. Google AdSense- Google AdSense is the OG. It's been around for years and years and is probably the biggest ad network there is. That being said, I haven't heard great things about recent payouts. Some niches tend to do better than others, however, so it's always worth a shot. A sponsored post is when a company pays a blogger a certain amount of money to write a post reviewing or detailing their products or services. Legally bloggers are required to disclose their relationship with the company at the beginning of each sponsored post. My recommendation here is to only accept sponsored posts from companies you truly know and love. While it can be tempting to take on others, it's a sure-fire way to turn off your audience. Sponsored posts come with a hint of “being bought”, even if your opinion is genuine, so know that it’s a fine line to walk. Another word of caution here is to not undervalue yourself. Many companies will try to convince newer bloggers to write sponsored posts for dirt cheap. Don't do it! I would never recommend that a blogger write a sponsored post for less than $250. The higher your monthly viewers, the more you can charge. On average, however, the average sponsored post rakes in between $500 and $2,000. Once you have a pretty hefty readership, you can easily commission more than $5,000 per post. It is pretty common for more popular blogs to write books and sell them on their website. Some of them go the traditional publishing route using a publisher, but many are self-published these days. There are certainly pros and cons to both. I personally would only ever self-publish. Most authors only receive between $1 and $2 per book sold through a traditional publisher. When you self-publish, however, you keep the full price of the book and exclusive rights to it. Typically a traditional publisher will retain the rights to your book if you publish through them. I've seen a number of food and lifestyle bloggers write cookbooks and place them for sale on their website. There are also plenty in the health and fitness realm who've written books on everything from Pilates to keto diets to homesteading. If you have an audience who needs specific information from you, writing a book can be a great way to go. Lulu is one of the best ways to have a book you've put together printed. While not as common, many bloggers offer services through their website. Their blog serves to reel in potential customers where they can then work with the expert blogger. This works particularly well for coaches, consultants, virtual assistants and advisors. I will say, however, that most bloggers don't offer services for the long run. This is a great business model when you're first starting out and you don't have a ton of traffic. That being said, by the time your traffic does take off, it's easy to become swamped with requests. At this point most bloggers move on to digital products or group coaching packages to lighten the load. While you likely need to be a bigger blogger to pull this off, there is definitely a market for live events. This can include things like masterminds, seminars, and live in-person workshops for readers who want to get to know that particular blogger a bit more. Chris Ducker comes to mind with his yearly mastermind Tropical Think Tank and his other live events in the UK. How Can I Start A Blog and Make Money From It? The question everyone is asking! *NEW: Let me set up your blog for you, for FREE. I'll take care of installing WordPress, registering your domain, setting up your SSL certificate, and more. Details here! Start your blog. You can read my complete tutorial on starting a blog here. Write great content. Your readers want to know that they can count on you to provide the good stuff. There are too many bloggers out there writing basic fluff pieces. If you are an expert in a certain niche or just super passionate and willing to learn, you already have a great start to your blogging business. Pin your posts on Pinterest. Pinterest is the big thang right now when it comes to getting traffic to your blog. I recommend making two or three pins for every post you write and then post each one to your boards at least every month. Read my favorite strategies for winning on Pinterest here. Check out Alex and Laurens Make Money Blogging course. It will show you step-by-step how to make money from your blog in just a few months. Be unique. There are way too many bloggers out there trying to copy exactly what someone else is doing. Being unique helps you stand out from your competition, and it's more fun! Choose a blog topic you love. It's going to take a ton of work and years of writing to keep a blogging business alive, so you better love it. You simply won't have the motivation to carry on that long with a topic you aren’t passionate about. Invest in your education. I know it seems like with enough research you can find all of the answers for free online. I know I certainly thought that when I was just starting out! But the truth is that there is too much misinformation, too much old information, and too many theories out there that are waiting to take you off course. I've invested in handfuls of courses and other digital products over the years, and I continue to do so in order to stay relevant and knowledgeable. It has by far been one of the biggest contributors to my success. Pinterest Traffic Avalanche- This course taught me exactly how to use Pinterest to generate tons of traffic to my blog, in about 30 minutes per day. It has far and away been the most useful course I’ve ever purchased. Six Figure Blogger- This course will teach you everything you need to know to turn your starter blog into a six figure blog. 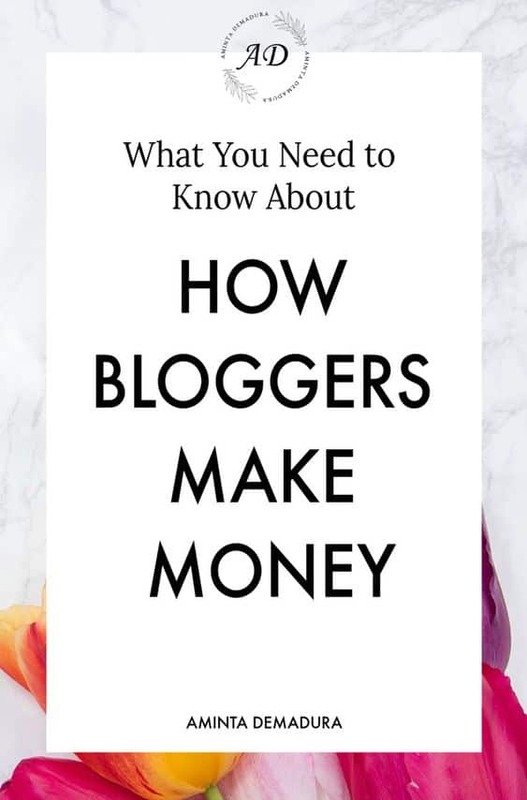 While I’m not yet a six figure blogger (I only purchased it a month ago), I found the information eye opening and would definitely recommend it to those who already have a blog but aren’t sure how to monetize it to the fullest extent.